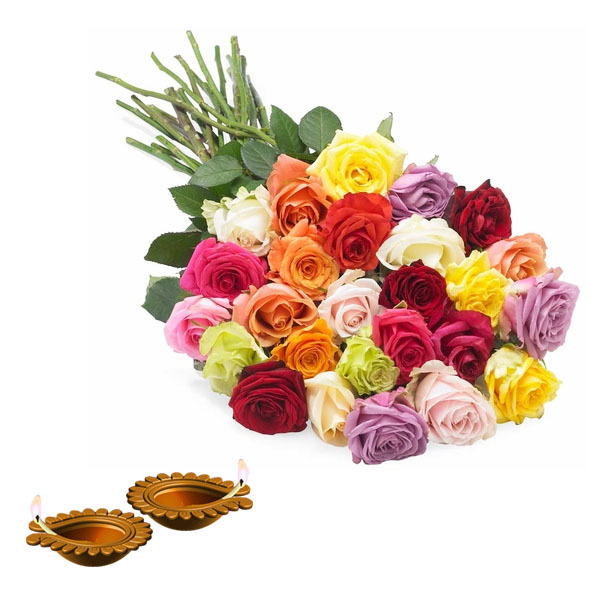 Product Consist : 2 Diwali Diyas along with Round Hand Tied Bouquet of 25 Mix colorful Roses. 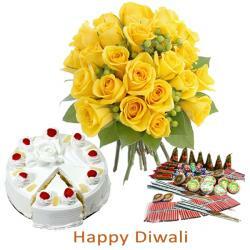 Send a special diwali surprise to your special ones that they will love and cherish for long. 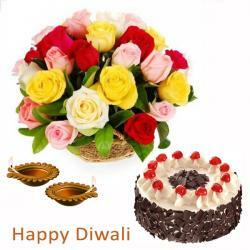 Present a spectacular hamper full of happiness this Diwali, to anyone dear to you and make them feel special. This is one hamper that will make a memory to last forever as this has a gorgeous mix of roses in bright yellow, pink and red color placed in cellophane along with an equally gorgeous traditional earthen diya for Diwali. 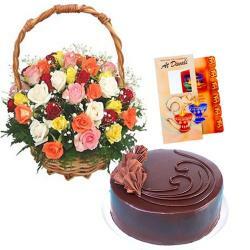 delivers your emotions straight to your dear ones heart, the colorful roses will make them smile gleefully. 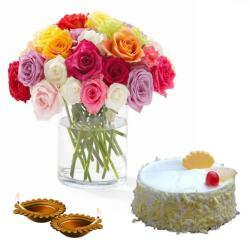 Product Includes : 2 Diwali Diyas along with Round Hand Tied Bouquet of 25 Mix colorful Roses.